There are other important examples of HealthCMi’s commitment to helping acupuncturists fulfill their acupuncture continuing education requirements with interesting and helpful course materials. In Texas, for example, our courses meet ethics, biomedicine, and herbal medicine category requirements. The same is true in Florida. HealthCMi courses provide CEs for medical errors, biomedical sciences, and Florida laws and rules requirements. This is possible because HealthCMi is an approved acupuncture continuing education provider for numerous organizations including the NCCAOM, California Acupuncture Board, Florida Board of Acupuncture, Texas State Board of Acupuncture Examiners, and much more. This is why HealthCMi meets acupuncture continuing education requirements in Illinois, Nevada, Australia, New Zealand, and throughout Canada. Visit the state requirements HealthCMi web page to learn more. Learn about your state, country, or province continuing education requirements. The course materials are in written, video, audio, and live webinar formats. Written courses are ebooks and both audio and video courses may also be downloaded to your computer, smartphone, or tablet. These courses may be taken at any time of day and certificates of completion are generated after taking an online quiz. There are no limits to retaking quizzes and no additional charges are made for retaking exams. Upon a passing grade, participants may download their certificates of completion immediately. Participants may request, by phone or email, course materials to be sent via email or carrier mail. This is helpful to those with limited access to computers and smart devices. A great value is that written (ebook), audio, and video courses are yours to keep. This provides a valuable reference in the clinic. There are no time limits to course completions and after a passing the quiz, participants can download certificates of completion on multiple devices. This is helpful when using different devices in multiple locations. Simply login with your password and gain access to downloading course materials, quizzes, and certificates of completion. Participants can start a course in their office on one computer and complete it on a smart device, such as a tablet, at home. This flexibility helps meet the demands of busy acupuncturists and other healthcare practitioners. Live webinars differ from ebook, audio, and video courses. They are events scheduled at a particular time. Participants attend the live webinar and receive a certificate of completion after the webinar. Quizzes are not required for live events. This is because national, state, and international requirements do not include mandatory quizzes for live webinars. In many states, including California, live webinars are counted as in-person attendance. As a result, live webinar acupuncture continuing education credit hours are not limited in the State of California and other areas. The NCCAOM does not place a limit on audio, video, and ebook courses. As a result, live webinars or in-person events are not required for NCCAOM diplomate renewal. NCCAOM diplomates can fulfill all of their acupuncture continuing education PDAs online with our anytime courses. There is one exception. The NCCAOM requires that acupuncturists obtain CPR certification. This requires in-person attendance, usually by an American Heart Association or American Red Cross approved provider. The process for obtaining continuing education CEUs and PDAs is straightforward. New participants simply browse the course lists and select ‘Add To Cart’ for the desired selections. All pertinent information is gathered in the checkout process. After purchasing the course materials, participants may download course materials, take quizzes, and receive certificates of completion. For the very first time when accessing course materials, participants will be asked to enter any pertinent medical license numbers they would like to appear on certificates of completion. Participants may login on another date or time to complete unfinished courses, re-download materials, or re-take courses. There are no time limits for course completion. Enjoy our courses at HealthCMi. We offer additional services including the news department, which features acupuncture and herbal medicine news and research. Simply click the news link at the top of any page to view the latest news releases. Most research published at HealthCMi is the only available Traditional Chinese Medicine (TCM), acupuncture, and herbal medicine research in English that was originally published in Chinese. Our translators bring important clinical and laboratory findings to the web in a clear and precise presentation. There is no charge for use of the newsroom. We hope you will share the information with your patients to encourage increased compliance with their treatment regimens. Let us know what you think of our website. Click on the contact us or support links to communicate with HealthCMi. To learn what others think, please take a look at individual course listings. 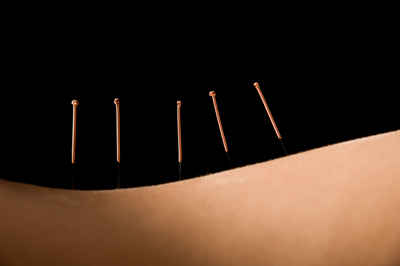 Read the reviews and get a sense of what acupuncturists are saying about each course. Also, note that each course has a sample posted online. It is helpful to look at a sample of each course prior to purchase. In this way, acupuncturists can match their interests with the type of educational materials they are purchasing. HealthCMi courses range from basic level TCM to very advanced levels. Course samples help to ensure that your acupuncture continuing education online courses meet your expectations. The goal of HealthCMi is to provide a straightforward continuing education learning experience while providing valuable and insightful course information. Basic courses serve as a review and advanced courses often include first-ever translations from ancient and modern acupuncture and herbal medicine works. HealthCMi is proud to offer courses authored by esteemed professors of acupuncture including Prof. Liao and Prof. Pang. Their contributions, and those of many more licensed acupuncturists, ensure that HealthCMi offers quality acupuncture continuing education online.